Imagine the ultimate Smoky Mountain family retreat nestled amongst the Nantahala National Forest overlooking Lake Santeetlah. 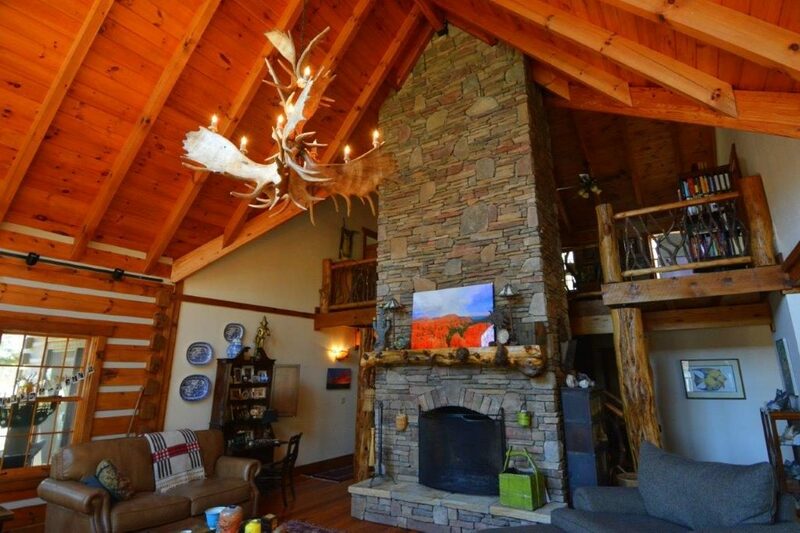 This Heritage log home was ideally designed for gathering of family and friends with its grand living areas, multiple bedrooms and expansive outdoor spaces. No detail, grand or small, was overlooked in the design and construction of this 4,824 square foot home. Completed in 2008, this is one of the finest properties in the highly desired lakefront community of Cross Creek. 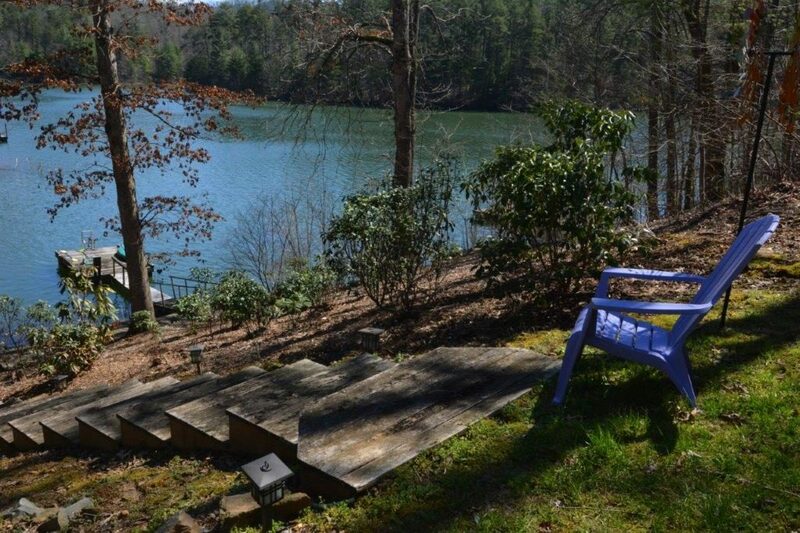 It is truly an entertainer’s dream with main level living opening to a lakefront covered wrap around deck running the length and width of the home. Lovingly built for and enjoyed by one family, this charming country home is being introduced to the market for the first time. As one approaches the property, there is a long, gently sloping driveway and ample parking for guests. 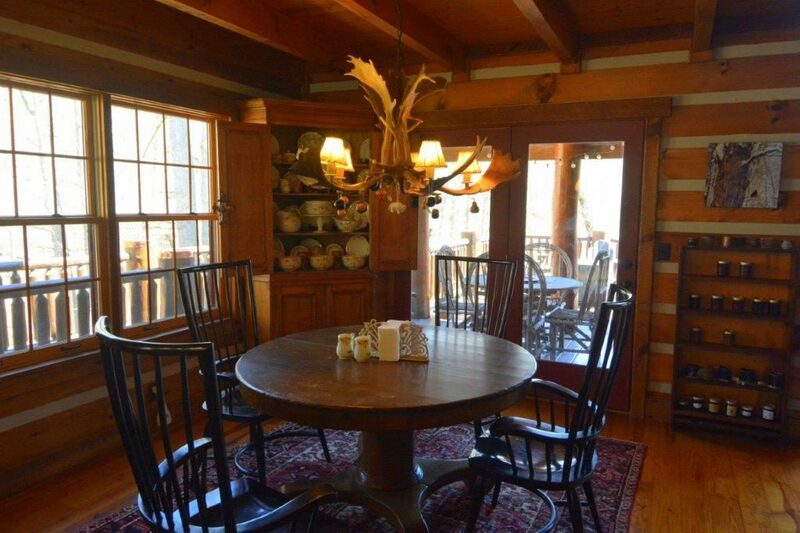 The exterior boasts a gracious front porch with remarkable pine logs and artisan applied chinking. 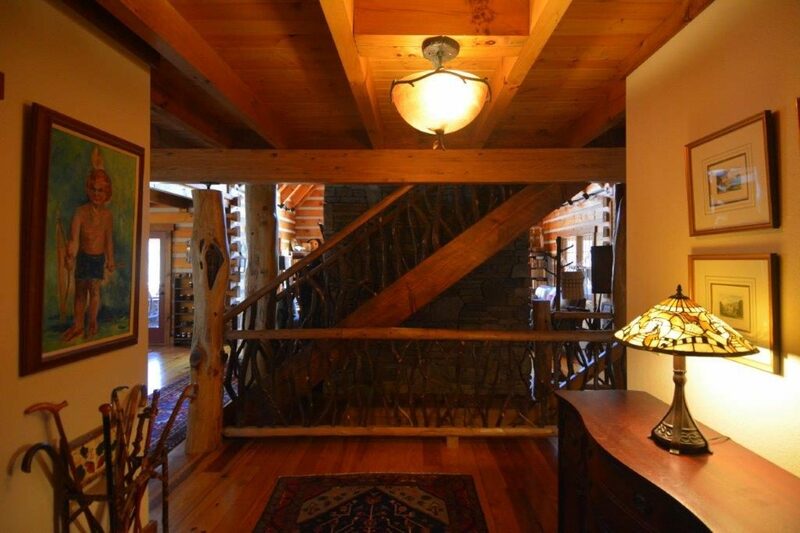 Stepping over the threshold, past the solid wood door, into the spacious foyer dare to dream as you gaze upon the stunning heart of pine flooring, one of the two native stacked stone wood burning fireplace with smokeless ceramic flue and wooden staircases with mountain laurel balusters. The great room is set up for entertaining, games or cuddling up with a good book. A cathedral ceiling, massive windows and doors, exposed beams, log walls with chinking and an antler chandelier set the stage for the perfect mountain getaway. Along with the beautiful fireplace and double pane windows, the entire main floor offers gas heat providing energy efficiency and cost savings. 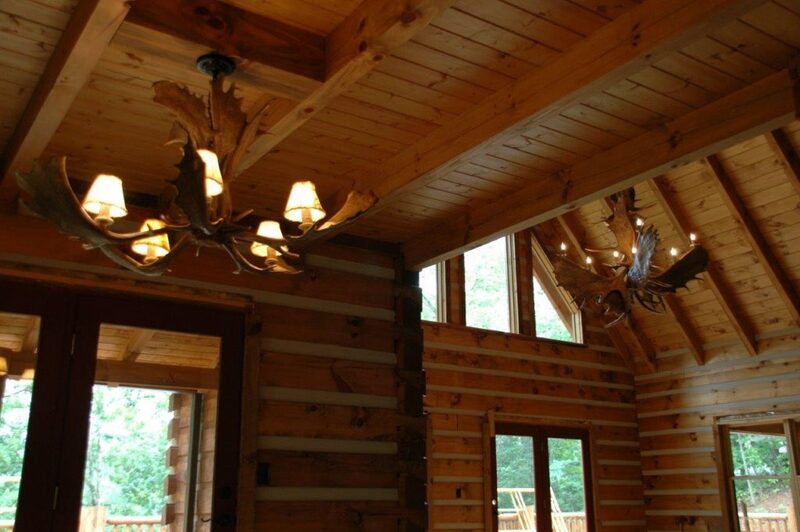 The finishes throughout were hand selected, offering a unique, cottage-like design within a large, luxury home. 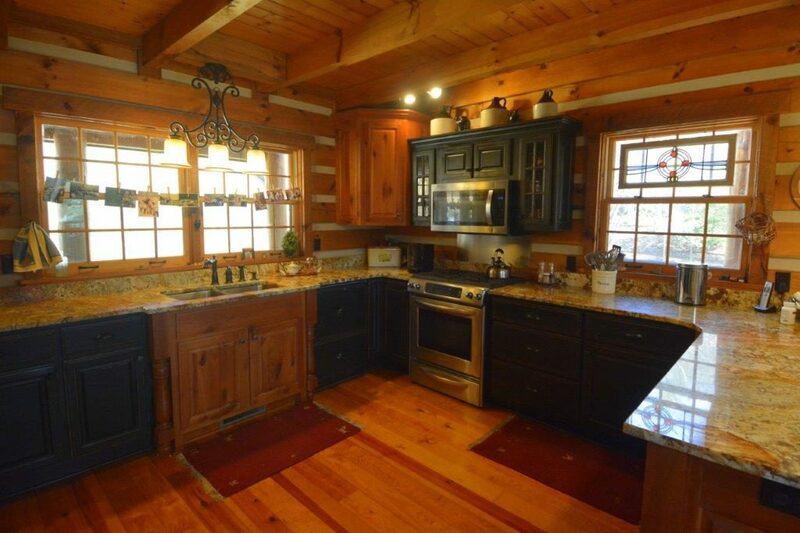 Warm and inviting country kitchen makes you think of holiday meals and a place where everyone will want to be. On trend two-tone custom cabinetry, KitchenAid stainless appliances throughout including a double dishwasher, a chef’s delight gas range, undermount sink, granite countertops provide the perfect area to create homemade favorites that everyone adores. 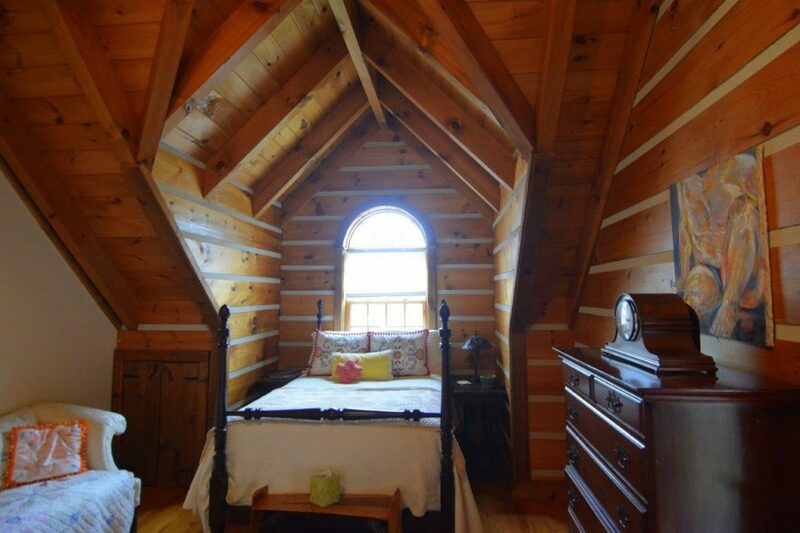 Three generous bedrooms, with other optional sleeping areas, the home features the master suite on the main floor. Complete with French doors leading to the covered deck and hot tub, the master has a large en-suite bathroom with rolltop cast iron pedestal tub, custom tiled shower as well as a vintage vanity and stone sink. The large walk-in closet has been fitted with wash and dryer hook-ups. Upstairs are two more expansive bedrooms set under the exposed eaves of the home and each having a private deck. 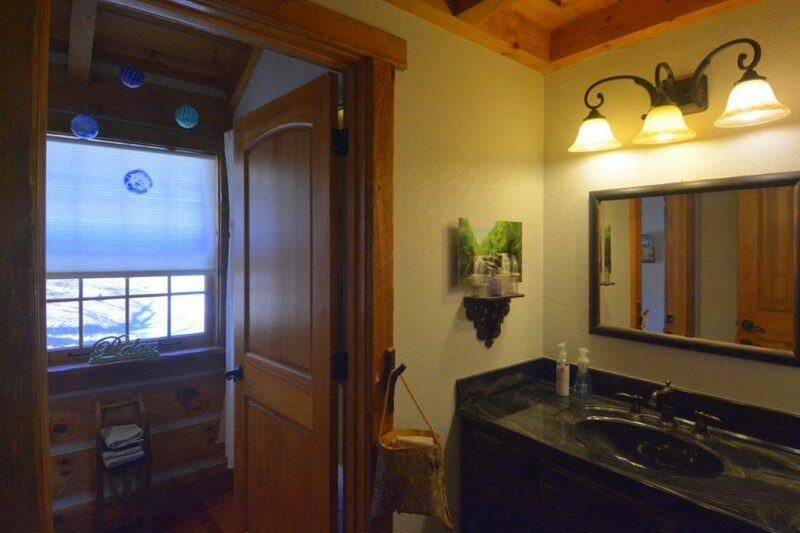 Accompanied by a loft area looking down to the great room, there is a shared custom tiled bathroom. Stroll downstairs and shoot your best pool or ping pong game on the 8’ Connelly table, with 1” slate, in the recreational multi-purpose room. With the second fireplace and an additional full bathroom, this warm area is the perfect place for everyone to gather. There are two more rooms, currently being used as an office and bedroom, that could be easily repurposed as a craft room, tackle room, sauna, wine cellar or anything your heart desires. With easy access, it is just a few steps to the firepit and lake. The sounds of the creek meandering through the property as it makes it way to the lake provides the perfect background music. The expansive lower porch has plenty of room for entertainment and enjoying the outdoor vistas and sunsets. This is a rare, lakefront legacy property with amazing lake views and includes 113 linear feet of shoreline with a private boat dock in a 20-foot-deep, private, quiet cove with lovely views of Joanna Bald to the South and the Snowbird Mountains to the West. The setting is ideal on 2.18+ wooded acres, consisting four lots that could potentially be subdivided to make an additional lakefront lot. This intriguing property rests in harmony with the surrounding land along with the advantages of comfort and exclusivity. Come create your special place of belonging. For more information, please click here to see the video.